Derek Bermel's work, Cabaret Songs was written for the FIGURA ensemble. 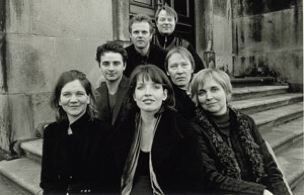 The first performance of Cabaret Songs took place at The Louisiana Museum of Modern Art the 4th of August 2007 with Signe Asmussen as soloist. Lyrics: Written by Wendy Walters.